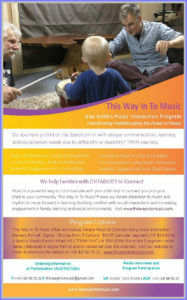 Welcome to more information about our Music Interaction Program for children and families living with Special Needs. This program is ideal for parents and families raising children on the Spectrum of Autism, or with an Acquired Brain Injury, Cerebral Palsy, Social Anxiety, Multiple Sclerosis, MND or other Disabilities. We prefer to call them DIFFERENCES or DIFFABILITY rather than DISability. (Because let’s face it – it’s more DIFFERENT in ability rather than “dis”). Sure, there may be differences or even challenges. Some say limitations. But a LABEL is simply that – it does not DEFINE you, your child or anyone else living with an ability difference. It’s merely a word. 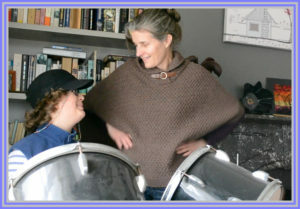 Real families living with various disabilities and forms of Autism or Intellectual Disabilities, learning how to use the power of music and innate attractions to rythm, music and sound to connect with special needs family members. Helpful tips for parenting special needs children. Varied topics from the basics of using observation for positive connection to using mimesis-themed sound games to encourage verbal communication or socially-playful engagement. Email us using the form below to request a PDF brochure describing the FIRST SERIES digitally-delivered EPISODES. Music Program Details: How is THIS WAY IN TO MUSIC delivered? Delivered digitally via the internet (online streaming) so you can watch or listen at your convenience. Streamed video options for full sessions but you can also listen to the audio-only file or to our upcoming podcasts as part of your subscription. A full one year subscription including 5 episodes, downloadable tips sheets, bonus materials and special needs parenting resources costs $99.95 for a one year subscription – or $179.95 for a two year subscription. TWIM Music Packs are also available. We also have This Way In To Music MUSIC PACKS with disability-friendly instruments to help you implement the music-interaction sessions; but these are NOT required, and normal objects around the household can typically work just as well. Music packs start at $249.95 and include a year’s digital streaming subscription to the This Way In To Music series by singer Alex Smith. For a 2 year subscription and a Music Pack, the digitally delivered program and shipped Music Pack costs $299.95). 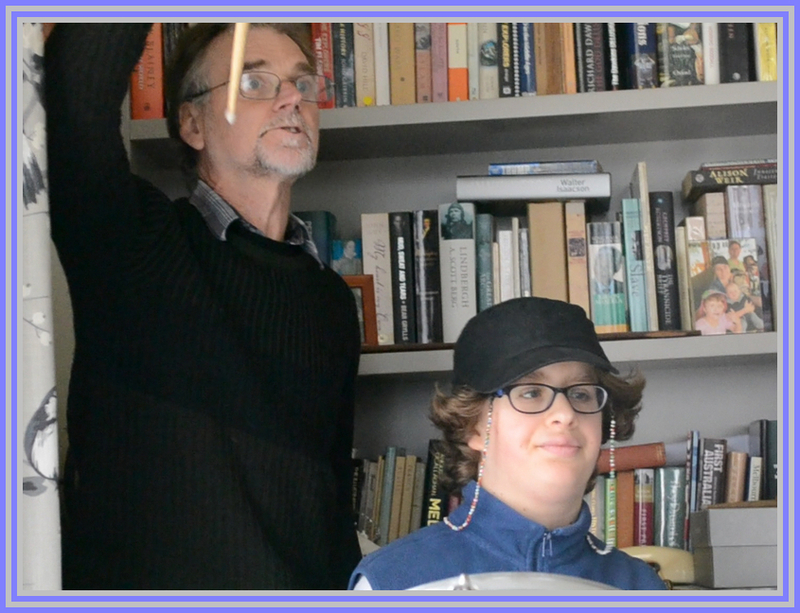 What can Alex Smith’s music program for children with special needs, including AUTISM and CEREBRAL PALSY or other conditions, help with? 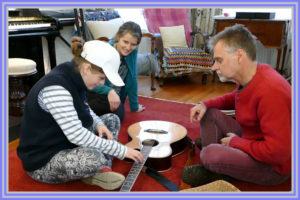 Transforming families living with special needs – using music interaction as a form of social inclusion, comfort and connection. Our program can work for families with children with a wide range of difference or disability. That includes chlidren with limited verbal abilities (pre-verbal) to non-verbal due to physical conditions such as MND or Cerebral Palsy, to high-communication individuals on the Spectrum of Autism or Asperger’s – to children who are paraplegic or wheelchair bound. Each session is applicable and adaptable for nearly ANY form of disability or cognitive communication challenge. You’re also encouraged to experiment regularly, to make these music interaction games and taskless sessions your own, to meet the needs of YOUR child. This Music Interaction program can help bring comfort, calm and connection opportunities for families with children with social anxiety as well as Autism, Asperger’s, Cerebral Palsy, MND or other cognitive, perceptive, sensory, communication and motor-neurological challenges. It features episodes of REAL families using the This Way In To Music program along with Alex Smith’s insights and recommendations for approaches. As always, parents will be encouraged to innovate and adapt the session content to suit their child’s specific needs and abilities. But the benefit of watching episodes is of learning NEW approaches in how to use the POWER OF MUSIC to engage children with special needs and enjoy new ways of social interaction and self-regulating play games. 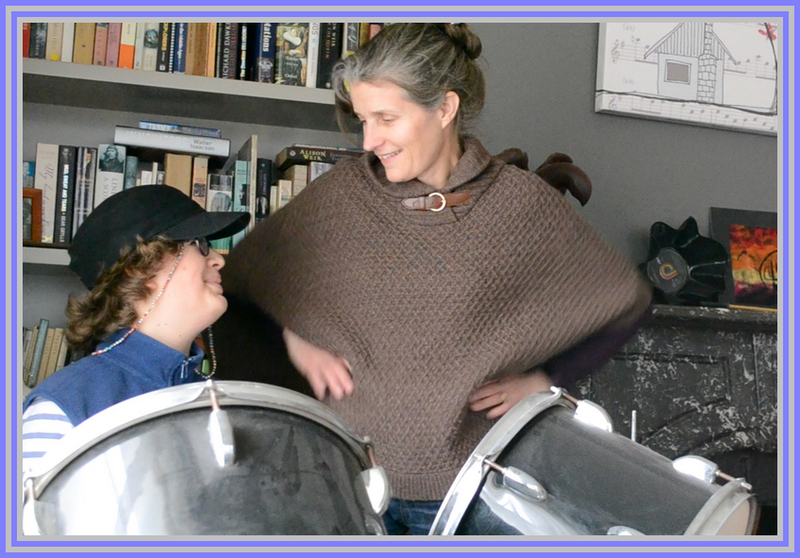 THIS WAY INTO MUSIC also reminds us all to be innovative and experimental with sound as a form of therapy – a DOOR in to the world of a child with different connecting abilities. It uses an innate affinity towards songs, percussion, rhythm and music which exists in all cultures. 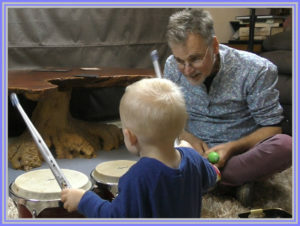 Showing us how to effectively use this sound-music-rhythm curiosity to CONNECT with children who otherwise have limited abilities to participate in positive social interaction settings. Available as an Annual Subscription. We film REAL parents and REAL sessions with children with disability (diff ability), so delivery schedules may vary slightly. But you will receive links and passwords to each year’s sessions distributed via digital streaming over a 12 month period (about one every six weeks or depending on when you purchase the program, you may have the full yearly 5 series delivered at once). The first 1 to 2 episodes are targeted for release in late 2018 with the rest of Series one releasing in the first half of 2019 and Series 2 to release around July 2019. One family per subscription. For school subscriptions, contact us by email or phone. Alex Smith is originally from Australia but now spends part of the year in Italy with his artist/sculptor wife, Sophie and dog Boggit. They have raised two children who are now adults; one of their children is on the Spectrum of Autism (Asperger’s) and has since attended University. Singer Alex Smith is the lead singer of MOVING Pictures, a band renowned for the song “WHAT ABOUT ME” and top chart hits in the early 1980s; as well as contributing songs for the soundtrack of the film FOOTLOOSE. Struggling to adapt to the diagnosis of being a Special Needs Parent to a child with Autism or other disability conditions? You can order a sample episode (one session) for $19.95 (digital streaming delivery). Contact us. Have you just discovered your child is “on the spectrum” of Autism or Asberger’s? Or that your child has a neurological difference or disability such as Acquired Brain Injury (ABI), Cerebral Palsy, Downs Syndrome, Motor-Neuron Disease or MS? If so, it can take some time to adapt your mindset to being a parent of a child with special needs. If you feel daunted by a recent diagnosis, even though you were expecting something was not quite neuro-typical, you’re not alone. And we’re here to offer some practical special needs parenting resources and assistance via music-themed socialisation games that have skills-transference potential – as well as the goal of reducing family stress by increasing connection and light-hearted play times with task-less music-themed activities. This Parent ADAPT Kit (PAK) is $29.95. It offers Adaptation Tips you can print out to use. PLUS, it includes one Sample Session (Episode 1 from Series 1). And it includes other Great Resources to help families accommodate a neuro-developmental difference or to adapt to receiving the diagnosis of your child having a unique cognitive, sensory or perceptive condition. Includes: TIP sheet for keeping your mind from the ‘blame game’ and other non-productive thought processes, a real life story about a parent’s journey through their adaptation to living with neuro-developmental differences, and tips for your child’s educational processes to help your child grow. All prices are AUD and USD (same price) and are for digital streaming episodes available by subscription and requiring internet access and a unique subscription code. All materials, content and episodes are fully copyrighted. If you wish to participate as a sponsor or distributor, please phone Connie May on +61.421.99.55.22. For other countries, please contact us via email on our contact page. Thank you. Music interaction programs do NOT require musical instruments to use, and handy objects – such as pots and pans and boxes, make excellent musical themed ‘instruments’ of attraction for innovative This Way In To Music (TWIM) engagement of children with special needs or communication challenges. Plus, instruments will get USED and potentially destroyed during playtime – not all will, but some will. We have a list of what we think are good tools to use for the program, such as a few hand shakers, a wooden tambourine and an old guitar or keyboard. BUT parents and teachers must adapt these suggestions to meet the individual child’s capacity, interests, and volatility (as some musical instruments may become ‘throwing balls’ for children who get very excited or frustrated). We work with you to learn how to AVOID these meltdowns, but it’s relies on the parent’s expertise in knowing what IS or ISN’T going to be appropriate for their child. And often that comes from experimentation. If you wish to add to your music play collection, you can usually find affordable second hand instruments on e-bay, second-hand stores or at our instrument donation site (ask us for details). But our Sponsors have arranged for a special music interaction pack at a discounted rate. Plus the ADAPT pack extras for Parents who are adapting to a diagnosis of difference such as Autism or ABI, PLUS the Music Pack (2 shakers, a Tambourine, AND a small drum OR a Ukele OR small keyboard) – all for $249.95 plus shipping thanks to our affiliate music suppliers. For a 2 year subscription, save $50 on your second year’s subscription (the Music Pak with a 2 year subscription costs $299.95 AUD/USD). Shipping and handling in Australia is $14.00 (7-14 days delivery) and shipping and handling to the USA is between $14.00 to $20.00 USD. If you live in Sydney or Melbourne, we may be able to arrange a pick up directly from our Sponsor’s or Affiliates Music Stores. We offer real examples and strategies to engage family members living with disability (DIFFERENCES or DIFFABILITY). But our main message is this: No one is a better expert on your child than you are. We’ll just provide the ground work for using music interaction and offer some suggestions for adaptation to suit your child’s needs. We highly encourage innovation and experimentation and customisation as every child – and family – is unique. Whatever your child’s current capacity for communication, our music interaction sessions will help you to engage their attention, arouse their interest, build emotional intimacy and connection, and transfer skills using mimesis to build comfort with new situations. Read our BLOG for real-life stories featured in our First Year Series. Parents and teachers have reported finding practical value from using our music interaction sessions. 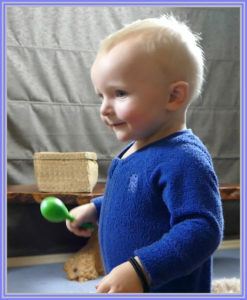 Families, therapists and educators have used our examples to increase social interaction through music-themed games to help children where a DIFFERENCE in comfort levels, cognition, sensory perception or social interaction styles impacts their ability to verbalise, communicate, socialise or feel comfortable in new situations. For conditions such as AUTISM or ASPERGER’s, learning to find COMFORT and CONNECTION in new situations can even help reduce meltdowns – but we use an invitational style of engagement, never a forced participation model. 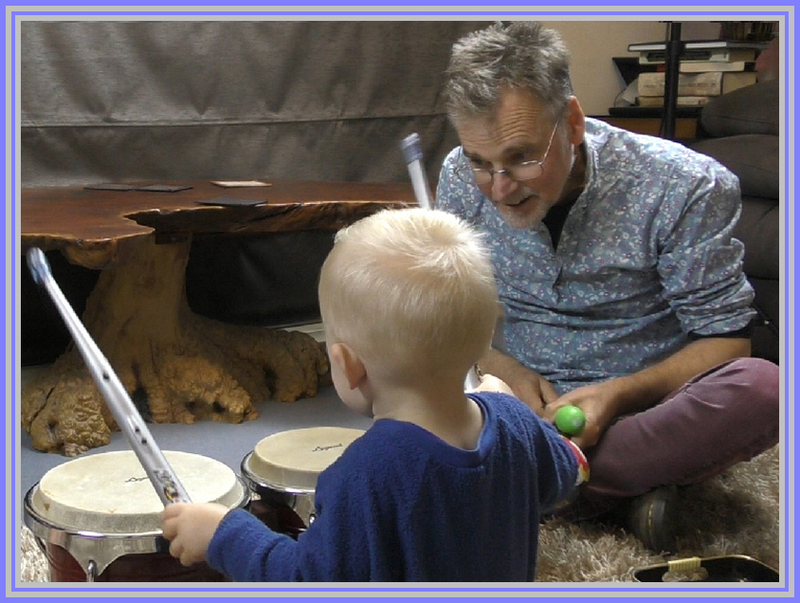 We essentially demonstrate music interaction techniques – for parents and special needs education teachers – to reveal how the power of music can be harnessed for music-themed socialisation and communication bonding activities. We also highlight how the innate human trait of mimesis, via combining movement and music, can be helpful for creating comfort, calmness, sustained attention and cognitive transfer in NEW social situations. Contact us if you’d like a downloadable catalogue of our products and to be added to our monthly e-newsletters featuring helpful tips for parents, teachers and siblings about using innovative music interaction strategies to help children with disability, special needs, and Autism or other communication differences. 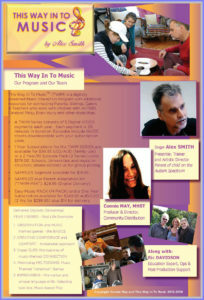 Please contact us for Special Needs Music Program series and/or interviews and products. 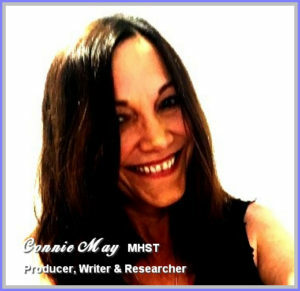 CONNECT WITH US – we will be delighted to hear from you and trust that we can assist you using the power of MUSIC when words fail.